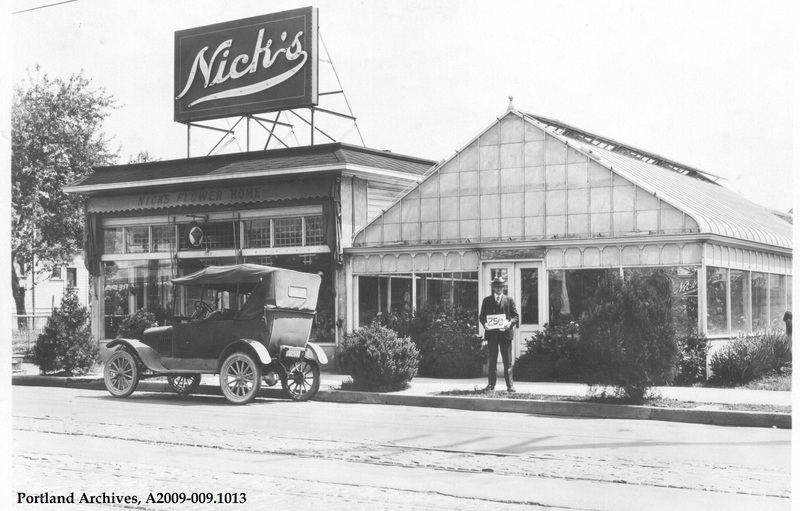 Here we see the “number man” standing outside Nick’s Flower Home in 1929. This building was located at 4040 NE Union Avenue between NE Mason Street and Shaver Street. As most of you know, Union Ave. became Martin Luther King Jr. Blvd. These building are no longer standing.